Hot Confidence equips you with what it’s going to take for you to feel clear, energized, engaged, and fulfilled in today’s uncertain world. Through an exciting new blend of ancient-healing knowledge and cutting-edge findings from Neuro-Linguistic Programming (NLP) and Positive Psychology, you’ll experience a breakthrough approach to growing your self-esteem. The Hot Confidence manuscript won top placement in the International Transformational Authors Contest, 2011. Are you ready to step out of the shadows of doubt and into the shine of your best self? If it’s time to stop self-sabotage and start believing in yourself so that you can enjoy the relationships, career and life you know you deserve, then Hot Confidence is for YOU, right now! Hot Confidence is a toolkit of powerful stories, exercises and strategies that, put into practice, will encourage the powerful, radiant inner you to evolve. Hot Confidence promises to provide you with your roadmap to resilient, rock-solid personal strength. Through an exciting new blend of ancient-healing knowledge and cutting-edge findings from Neuro-Linguistic Programming (NLP) and Positive Psychology, you’ll experience a breakthrough approach to growing your self-esteem. With the knowledge and practical systems in this book, you’ll bounce back and be magnificent whatever your challenges, because you’ll have what it takes to succeed in any circumstances. Self-doubt, low self-esteem, and fear affect everyone. What are they costing you in your life – both personally and professionally? Isn’t it time to harness your unique power and clear away your self-diminishing thoughts and behaviours? Hot Confidence equips you with what it’s going to take for you to feel clear, energized, engaged, and fulfilled in today’s uncertain world. 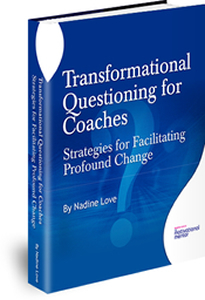 The material presented in Hot Confidence, including all stories, case studies, and transformational processes, derive from Nadine Love’s personal and professional experience. The techniques you’ll be taught include a distillation of best practices from the most leading-edge sources in the fields of Positive Psychology, Neuro-Linguistic Programming, life coaching, transformational healing, meditation, and energy work. The proven, life-changing system that is explained in this book has been tested by thousands of people who have applied this wisdom in their own lives. You’ll hear real-life stories and learn powerful life-coach strategies taught one-on-one by the world’s most successful life coaches. Nadine Love wrote Hot Confidence to make this wisdom accessible to you. It will directly connect you to your strong, internal sense of self-worth so you can achieve your highest potential no matter what’s going on in your family, the environment, the economy, or the world. When you know how to have resolute, inner strength burning within you, you’re unstoppable! Hot Confidence will assist you to transform your doubts, fears, overwhelm, anxiety, guilt, shame, aimlessness, restlessness, or frustration into clarity, purpose, and confidence. If you’re ready to believe in yourself, feel fulfilled everyday, attract outstanding opportunities and experience great relationships – you need Hot Confidence. 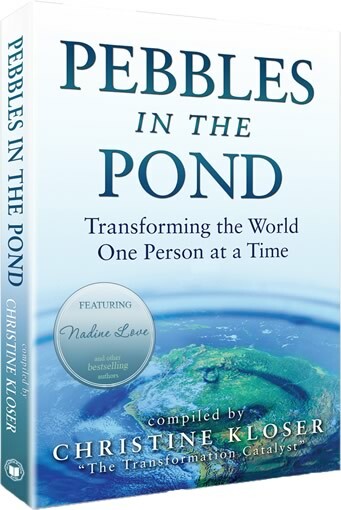 Live your best-possible life and the most outstanding version of yourself — that’s the theme and message of this book. 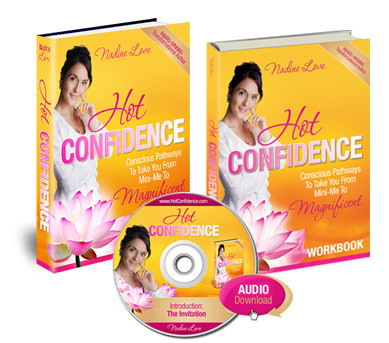 The Hot Confidence breakthrough sequence blends best practices from East and West, seasoned with over a quarter-century of Nadine Love’s own dedicated experience assisting thousands to succeed. By applying what you learn in this book, you will become bold in self-expression for passion, wealth-creation, and giving. Chapter One is an invitation to explore your choices. You’ll learn how to identify your purpose, declare your personal mission, and understand the difference between confidence and self-esteem. You’ll identify where your strengths and weaknesses are. You’ll pin-point exactly where you need to create change so that resolute self-belief becomes a reality in your life. In Chapter Two you’ll learn about self-sabotage and positive self-talk and evaluate your current levels of confidence and self-esteem. Chapter Three guides you through the skills of accepting self, accepting change, and accepting others and also explains the skill of being present. Your exploration of your purpose and path on Earth accelerates as you explore and fine-tune your core values. Chapter Four addresses the Five Foundation-Shaking Fears—the primary threats to self-confident living — and the three essential fear-busting qualities that enable you to live in peace and equilibrium amidst any circumstances. 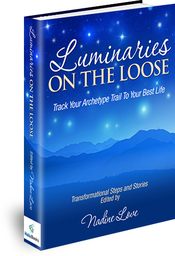 Chapters Five, Six, and Seven explore the principles of the lower chakras (the body’s subtle energy centers) and how they relate to the practical aspects of our lives (including survival, action, and commitment). Here we look at issues like sexuality, reciprocity, creativity, empowerment, and physical well-being. You’ll be inspired by understanding the power of giving and the spirituality of receiving, which bring dynamic, abundant balance to life. Specifically, in Chapter Five, we examine the first chakra’s role in establishing the foundation for happy, fulfilled living. You’ll set up your Four Pillars of Confidence and learn the essential keys to self-trust. Chapter Six. Here we explore essential polarities, and you’ll find out whether you dare to be hot … and why that’s so important. Chapter Seven examines the role of the third chakra in generating self-esteem; you’ll discover how to diffuse shame, clear your anger, and acknowledge your triumphs. You’ll access the energy-saving secrets of powerful, effective influence. Chapter Eight explores your doable next steps to compose your life from a place of Hot Confidence and lightness of being. You’ll learn how to maintain your levels of confidence despite the stresses and confusion that may come and go in your life. Are you expressing your identity and personal message for the world to your truest and fullest capability? 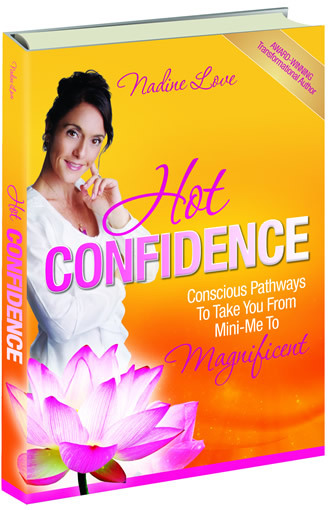 Hot Confidence is a trail-blazing book of positive personal solutions for this transformational time in the evolution of consciousness on our planet. In this uncertain era of global change, the achievement of personal resilience has become more important than ever before. If we are to weather the inevitable world-shifts and construct a peaceful new paradigm where our children are safe and celebrated for the unique beings they are, then we must step up and become magnetic leaders for the good. Hot Confidence, will equip you with the most effective formulas to tap into your higher consciousness and spiritually engage, as you free yourself from inner limitations. You’ll find your true passion and align your intentions with your actions. You’ll develop your own special brand of being you, drawing on the storehouse of genius within to realize new solutions for your own life and for the world. It’s time to build your self-belief so you can finally experience the relationships and opportunities you deserve. It’s time to create your difference by sharing your talents, message, and love with the world. If you’re ready to believe in yourself, feel fulfilled everyday, attract outstanding opportunities and experience great relationships then you must have your own copy of Hot Confidence. The Hot Confidence manuscript won top placement in the International Transformational Authors Contest, 2011.